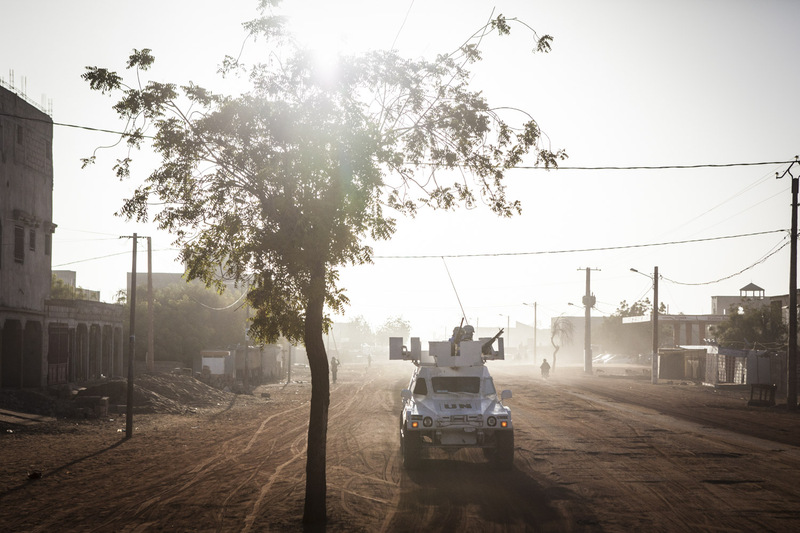 Gao, Mail- UN Peacekeepers from Senegal on an early morning patrol in Gao, Mali on Sunday, January 15, 2017. Despite the end of the occupation, many Malians find that security is still a major issue speaking of incidents of car jacking and looting. Even though crime is high, most of the deadly attacks that occur are against the United Nations Minusma mission, Malian soldiers and the French military.